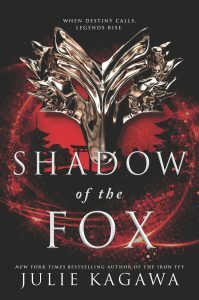 In my reading of the first three chapters of book one in Julie Kagawa’s newest trilogy, Shadow of the Fox, I knew immediately that I was not from this discourse community. Many of the Japanese words—such as shinobi, daimyo, oni, and kodama—were beyond my linguistic experience, so their meanings eluded me. I would have appreciated a glossary, although other terms—such as tetsubo, Jigoku, kami, and yokai were translatable from context clues or were clarified through a character’s explanation, although some of these explanations occurred more than a hundred pages in. Adding to my frustration, I felt like I was reading three separate stories, until the end of Chapter Three, when this masterful storyteller began to weave the disparate threads into a tapestry of prophesy, adventure, and wonder, not unlike that featured in the Hobbitt trilogy by J.R.R. Tolkien. The novel opens with the story of Suki Akihito, the daughter of a master flute craftsman who is the newest maidservant to Lady Satomi, the emperor’s favored concubine. On her way to her lady’s chamber, Suki is mesmerized by the sweet, haunting melody of a flute played by Taiyo Daisuke, a noble with a handsome face and a gentle smile, living in the emperor’s Palace of the Sun. Believing that a maid’s conversation can be as interesting as any noble woman’s, Taiyo-san converses with Suki and even helps direct her to her destination. Although she is murdered by the end of Chapter One, this is not the last that readers see of Suki, who “had hoped to marry a good man, raise a family, and leave something behind that mattered” (24). In Chapter Two, readers meet Yumeko, a brave, unassuming, clever, and kind creature who is growing up among monks at the Silent Winds Temple. Yumeko is half human and half fox—a kitsune who favors mischief and pranks. Fox magic is part of her existence, something as natural as sleeping or breathing. Being from two realms, the human and the spirit realm, Yumeko learns that caring for the spirit is just as important as caring for the body. While visiting one day with Tanuki-baba, another supernatural creature, Yumeko learns of other places “full of wonder, riches, chaos and things you can’t even imagine” (71). Told that she is wasting both her life and her talents by staying behind the temple walls, listening to the monks drone on about morality, Yumeko yearns to explore. Although she is curious and intrigued, she is also afraid to venture beyond the familiar and to abandon the only family she has known. But when the Silent Winds Temple is attacked by demons, Yumeko is thrust into the great unknown with a command to run. Just before his life is taken, Master Isao tells Yumeko that she is the child of dreams, their hope against darkness. He entrusts her with the ancient Dragon scroll and tells her that she must find Master Jiro at the Hayate Shrine, who will direct her to the Steel Feather Temple where the Dragon prayer will be protected. Escaping from the chaos and ruin, Yumeko runs into Kage Tatsumi, a shadow warrior, a shinobi known as the demon slayer. Tatsumi has been taught to believe that he is nothing, that he is a weapon in the hands of the Kage, and that his “life exists only to be the bearer of Kamigoroshi and to obey the orders of the Shadow Clan” (58). Trained to be a killer of demons, monsters, and yokai, Tatsumi expects no praise or recognition to do his job. The leader of the Kage sends Tatsumi to secure the Dragon scroll, but upon his arrival at the temple, he discovers it in flames and overrun by creatures from Jigoku. Despite the Shadow Clan’s having forbidden prolonged contact with anyone outside the clan, after hearing Yumeko’s elaborate tale and thinking that the peasant girl will lead him to the scroll so that he can complete his mission, Tatsumi agrees to accompany Yumeko to the Hayate Shrine in search of Master Jiro. Although Tatsumi provides Yumeko with protection and a guide, their journey to the capital is anything but easy. Demons and dangers meet them at every turn. The two soon realize that we are all mere players in the game of life, and to those with power, we are the pieces on the board, moved by unseen forces. Wandering outside the shelter of the temple walls, Yumeko discovers that, despite its wonder and appeal, “the mortal world is full of hatred, betrayal, sadness, and death” (73). She comes to realize that the world of spirits and yokai is far less complicated than the world of men where love, honor, empathy, and compassion often lead to suffering and despair and where “silken words hide daggers of venom beneath the veneer of decorum and compliments” (313). Still, those facts don’t deter her kindness. Although Tatsumi has elaborate control of his emotions, in his time spent with Yumeko, he begins to respond to her kind gestures. But with kindness, Tatsumi has to drop his guard, and that may be a fatal risk for one who is ruthless, dangerous, and willing to kill anyone who gets in his way. 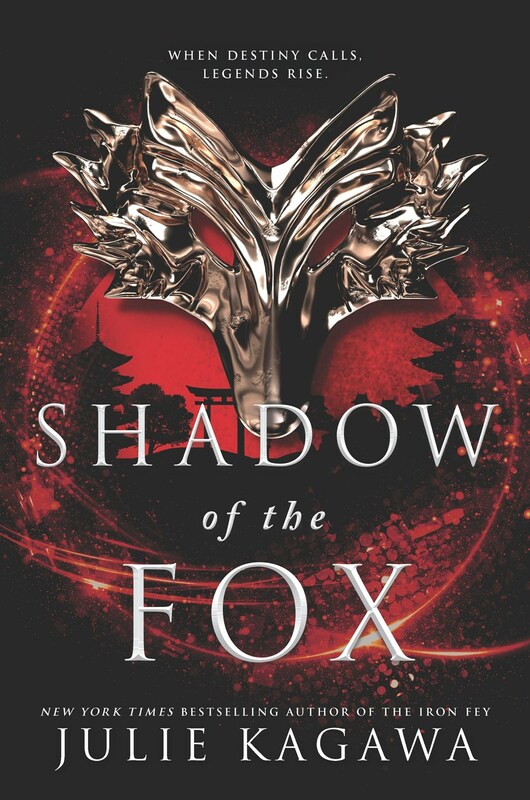 He a dishonorable assassin and she a deceitful kitsune in possession of the very scroll that Tatsumi seeks, the two travelers are keeping their secrets as the world is threatened and powerful forces pursue them. Tagged destiny. Bookmark the permalink.